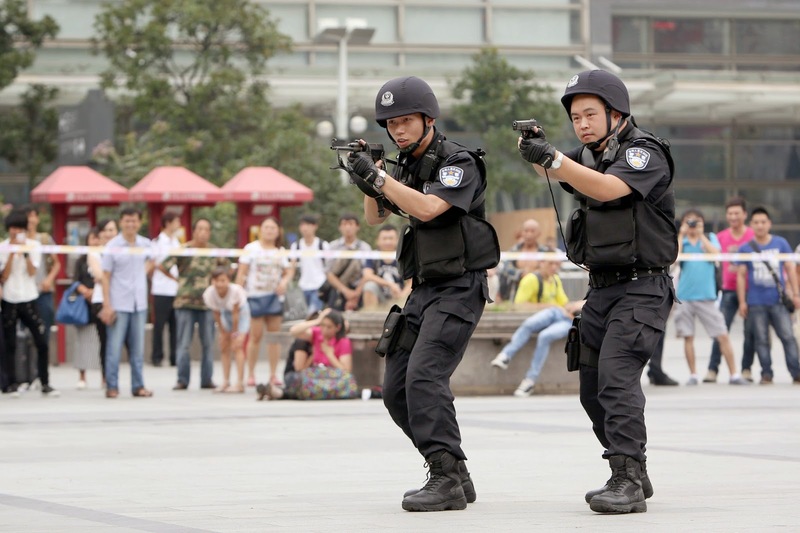 A group of "mobsters" on Monday tried to set off an explosive device in a business district in China's troubled western region of Xinjiang, prompting police to shoot six of them dead, the local government said. Police in Shule county, south of the old Silk Road city of Kashgar, had acted on a tip-off about "a suspicious person carrying an explosive device", the Xinjiang government said on its official news website. China's allegations were an "excuse to cover up the excessive use of force", said Dilxat Raxit, spokesman for exile group the World Uyghur Congress. "China's hostile policy will only provoke more turbulence there," he said in emailed comments. 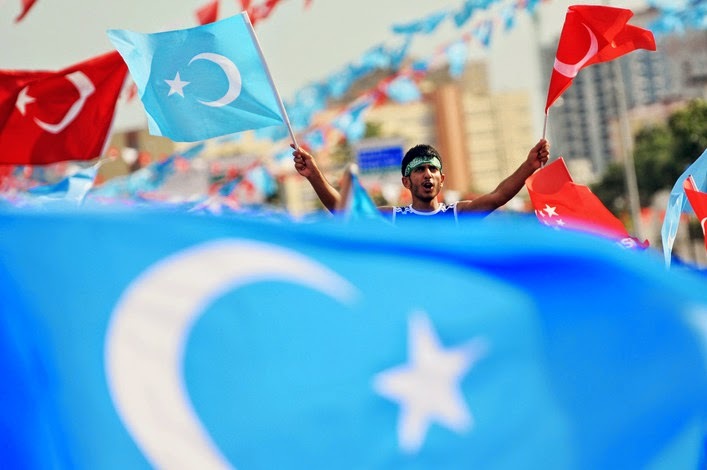 Five-hundred Uighurs who have been seeking refuge in Turkey since fleeing Chinese persecution are finally breathing easy after reaching the country that has been eager to receive them. Dozens of people were spotted at a human smuggling camp in southern Thailand in March who were deemed to be illegal immigrants by Thai officials. The group of people identified as Uighurs from China's restive northwestern province of Xinjiang, had fake Turkish passports and sought to escape the shadow of fear in China. "[Some of] those who fled atrocity were caught in Thailand and 367 Uighurs are being kept there. Some of those who could make it to Turkey without being caught have been brought to Kayseri [in Turkey]. The number may increase," said Seyit Tümtürk, the deputy head of the World Uyghur Congress. Öztürk Türkdoğan, the chairman of Turkey's Human Rights Association (İHD), said that Ünlü became a victim of a political assassination for his position on the issue of Chechens being used to fight in the conflict in Syria. Türkdoğan stated that he wished this murder will be solved alongside many other unsolved murders. “Ünlü's stance regarding the Syrian conflict was important. The assassinations of opinion leaders and widely-esteemed people are entirely political,” the head of the İHD said. 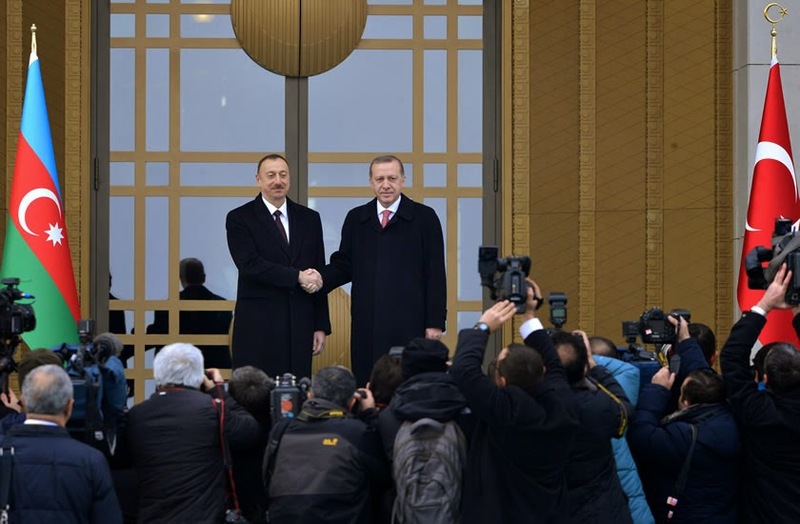 Aliyev Turns To Erdogan For Support Amid War Of Words With U.S. The year 2015 will provide more than one occasion for Turkey and neighboring Azerbaijan to show off the strength of their bilateral cooperation, not only in the global political arena but also in the global economic field. While listing some key joint economic projects during a press conference in Ankara with Azerbaijan’s visiting President Ilham Aliyev on Jan. 15, Turkish President Recep Tayyip Erdoğan recalled that Turkey will host a G-20 summit later this year. “As host of the G-20, we have used our mandate to favor Azerbaijan. Azerbaijan will take part in the G-20 this year as our guest,” Erdoğan said. “From preliminary preparations to G-20 negotiations, Azerbaijan will be with us,” he added. Under the individual partnership program between Azerbaijan and NATO, more than 1,000 servicemen of the Azerbaijani Armed Forces will participate in 116 events this year. 109 of these events will be held in foreign countries, 7 - in Azerbaijan. Under the individual partnership program between Azerbaijan and NATO, in 2014 more than 1,200 representatives of the Azerbaijani Armed Forces participated in 100 events within the Partnership for Peace programme. Azerbaijan’s dictatorial President of 12 years, Ilham Aliyev, took to Twitter again on Monday to attack Armenia and boast about his accomplishments in a lengthy series of successive tweets. The Azeri President’s tweets come at a time when tensions are very high at the border between Artsakh and Azerbaijan, with intensified exchanges of fire and sporadic skirmishes having taken place in the past two weeks. Armenia has already retaliated against Azerbaijan for the downing of a military helicopter last month, Armenia's defense minister has said, without saying what the retaliation amounted to. Armenia immediately promised to retaliate, but it wasn't clear how. And on December 23, Armenian Defense Minister Seyran Ohanian said it has already happened: "A disproportionate response to the Azerbaijani side has been given, part of the information about the operation was given to the public. However, it wasn't appropriate to release all of the information." The most significant military incident since the shootdown that was partially reported was a heavy exchange of fire, including relatively rare mortar attacks, in early December. The de facto Nagorno Karabakh government claimed that five to seven Azerbaijani soldiers were killed, though that wasn't independently confirmed. Still, even that would seem to not meet the standard of retaliation that Armenia had been promising. 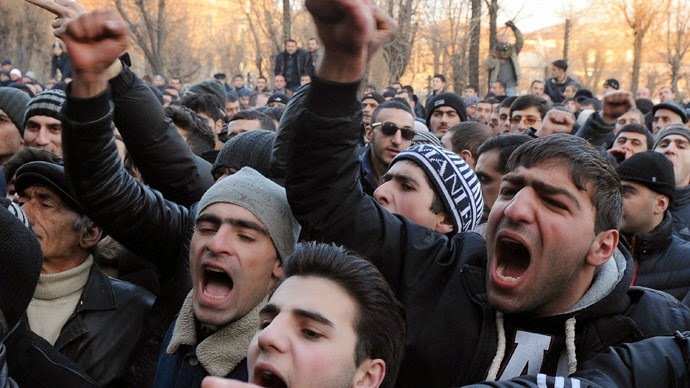 Signaling concerns over unprecedented anti-Russian protests in Gyumri, President Vladimir Putin reportedly assured his Armenian counterpart Serzh Sarkisian on Sunday that Moscow will help to punish those responsible for the killing of six members of a local Armenian family. According to official Russian and Armenian sources, Putin telephoned Sarkisian to “once again express condolences to the relatives of the victims and the entire Armenian people” in connection with the slaughter allegedly perpetrated by a Russian soldier. “The president of Russia expressed confidence that all necessary investigative actions will be taken within shortest time frames and that all the guilty will receive punishment envisaged by the law,” read a statement released by the Kremlin.